The chairman of the House of Representatives Armed Services Committee has called for long-range ballistics, citing concerns about Iran and North Korea. Both countries have released statements claiming to only be preparing to act in self-defense. Rep. Mark Thornberry (R-Texas) told reporters that the US should expand its ballistics arsenal to include long-range missiles that could reach Iran or North Korea. "If you look at what's happening around the world, I would mention Iran and North Korea, the importance of missile defense is increasing," Thornberry said Monday. "Actors around the world are building missiles that are harder to stop," he added. On Friday, the White House announced new sanctions on Iran and put Tehran “on notice” after running a ballistics test. Senior cleric Ayatollah Ahmad Khatami took a different stance, responding: “We are living in a world of wolves. Wolves such as the arrogant government of America. In this world of wolves, should we remain unarmed and they do whatever damn things they want? No way. This will never happen,” Euronews reported. Mojtaba Zonour, a member of the National Security and Foreign Policy Commission of the Iranian parliament, was seemingly on the same page as Ayatollah Khatami, saying on Saturday that they could raze the US Navy base in Bahrain. 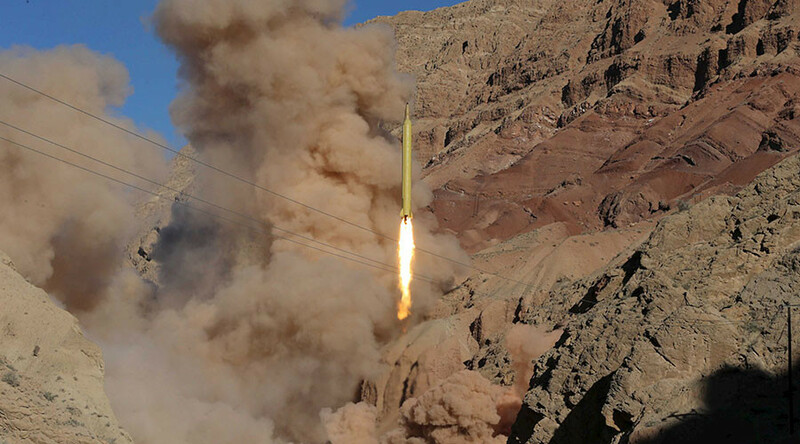 “Only seven minutes are needed for the Iranian missile to hit Tel Aviv,” he said. Also on Friday, North Korea released a statement claiming to be on the “brink of nuclear war.” The statement accused the US and South Korea of teaming up for a pre-emptive strike against North Korea CNN reported. That same weekend, US Defense Secretary James Mattis visited South Korea, where he reaffirmed Washington’s support for Seoul and pledged the $800 million Terminal High Altitude Area Defense System (THAAD) to protect US and South Korean troops. Mattis said the US and Seoul would stand “shoulder-to-shoulder” and any attack from North Korea would be met with “overwhelming” response. Thornberry’s announcement is seen as a sign of support for President Donald Trump’s plans to beef up US military forces. The National Defense Authorization Act is up for a vote at the end of April, but Thornberry said the defense appropriations bill may be voted on later than usual.